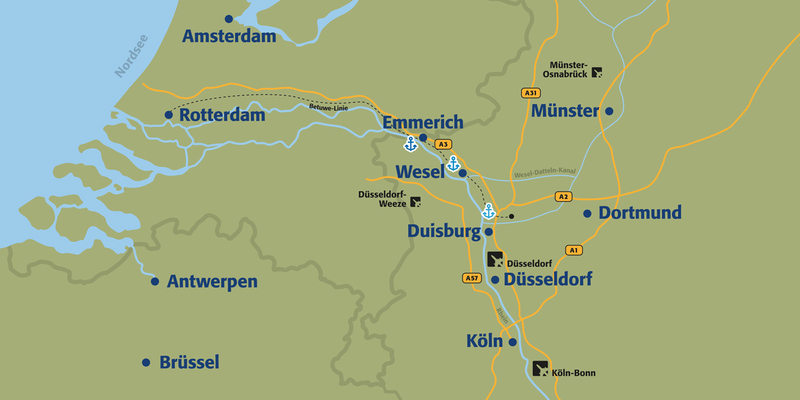 The Lower Rhine (Niederrhein) area is one of Europe’s leading logistics locations. 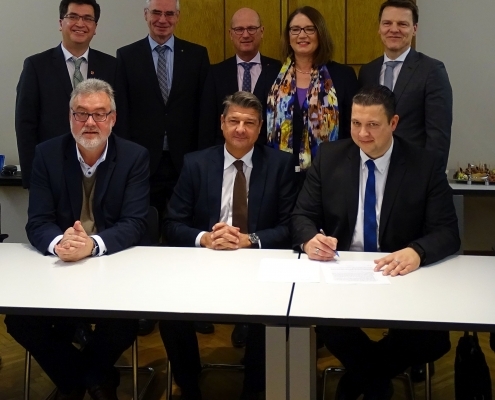 The inland ports in the region take a special key role as a hinterland hub for the major seaports in Antwerp, Rotterdam and Amsterdam, and offer enormous potential. 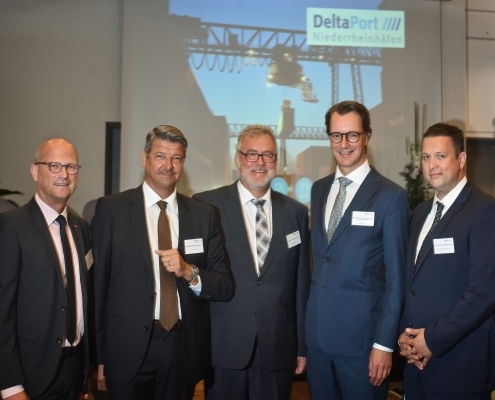 The transport of almost any types of goods, such as loose bulk, breakbulk (general cargo), heavy cargo, liquid cargo, as well as containerized cargo is possible via the port locations of the DeltaPort Niederrheinhäfen GmbH (Orsoy – Voerde – Wesel – Emmerich). All along the German waterways the demand for logistically usable land has increased and space is in short supply. DeltaPort, on the other hand, has room to spare: there is currently a land potential of 86 hectares. Industrial and commercial plots that can be subdivided into different configurations are available, in a floodwater-free setting and developed with trimodal transport access in mind.